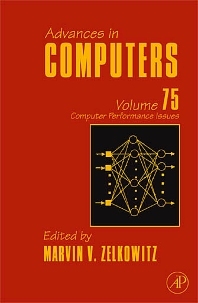 This is volume 75 of Advances in Computers. This series, which began publication in 1960, is the oldest continuously published anthology that chronicles the ever- changing information technology field. In these volumes we publish from 5 to 7 chapters, three times per year, that cover the latest changes to the design, development, use and implications of computer technology on society today. In this present volume we present five chapters describing new technology affecting users of such machines. In this volume we continue a theme presented last year in volume 72 – High Performance Computing. In volume 72 we described several research projects being conducted in the United States on the development of a new generation of high performance supercomputers.